Brushing and flossing are pretty important when it comes to keeping our teeth clean and healthy. But another way to take care for our mouth is to be on the lookout for problems that can put it all in danger. One of these is cancer, which can be dealt with when it is in its early stages. We have asked Los Algodones dentists some things regarding cancer. You’ll be reading about what it is, what signs it has, what makes it develop, how it is diagnosed, and how we can prevent in this little article! When the cells start reproducing uncontrollably in a destructive and ill manner, then that’s cancer. Oral cancer is usually present as sores or sudden growths that do not go away. These can appear in many different spots such as the tongue, the cheeks, lips, and even around both the hard and soft palate. It is important to regularly visit a dentist so not only do we get our deep cleanings, but also a quick checkup that everything is in order. What signs and symptoms does it have? These can be varied depending on the place and the type of cancer. The best thing is to keep track of how our mouth develops, and seek help whenever we spot something weird. Anything appearing unexpectedly. Sores, lumps, swellings that may appear around the lips, tongue, cheeks, or anywhere, and that they do not go away. Sudden bleedings with no explanation. Patches that appear inside the mouth. These can be red and/or white. Numbness and/or pain around the mouth, neck and face with no explanation. Trouble moving your jaw. This includes chewing and talking. Constant sore throat that does not go away. Also changes in voice and soreness in the back of the throat. What gives me more risk of developing cancer? 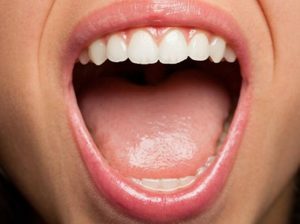 There are several things that can increase the chances of getting oral cancer. Of course, the most common are smoking and using smokeless tobacco. Other ways are through excessive alcohol consumption, cancer history in the family and long exposures to UV rays. The examinations performed are nothing to be worried about. They are quick and easy to do, and most important of all, they are essential to our health. Our dentists in Los Algodones are capable of performing these exams. They check for any lumps and irregularities around the jaw and neck, while also taking a good look at the lips and face. Of course, the inside of the mouth is thoroughly checked for any symptoms of cancer. If any sign of cancer is found, it will be necessary to send a small test to the lab. This will make it possible to know if it is really indeed a threat and not something entirely different. Avoid smoking and using tobacco products. 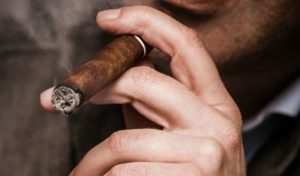 This includes cigarettes, cigars, smokeless and tobacco in all of its forms. Watch out for long exposures in the sun. In cases when you do, make sure to bring and use sunscreen. Keep a well balanced diet. Eating healthy is important as well as avoiding food with too many chemicals. Visit a dentist twice a year. Those checkups will help you not only detect cancer early, but also prevent it and deal with many other issues before they escalate. No Replies to "Oral Cancer: What To Look For"